The nose is light, fragrant, perfumy. A rather shy islander. Sweet orange juice, ginger, ripe pears, red apples with a floral note on top. All embedded in a honey/caramel background sweetness with a slightly dusty, aged oak cask note coming through. A dollop of water wakes the dram up and enriches the experience. Give it half an hour and it opens up even further with more pronounced sweetness – vanilla pudding mixed with old banana. The palate brings out more of the sweet side – a very nice mix of an oily, malty sweetness with honey with slightly bitter tannins and wood spices lurking underneath. A bit fizzy on the tongue. Very hard for me to get the flavours beyond that. While it is engaging, well-aged and yummy, there isn’t a whole lot going on in terms of distinguishable notes. Maybe some medium-ripe banana, faint hints of cough lozenges, bitter herbs and roses? The long finish is again an oily mixture of sweet spices and herbs (I detect sage at the tipping point of swallowing) with the cask influence getting more and more pronounced as it dries down. 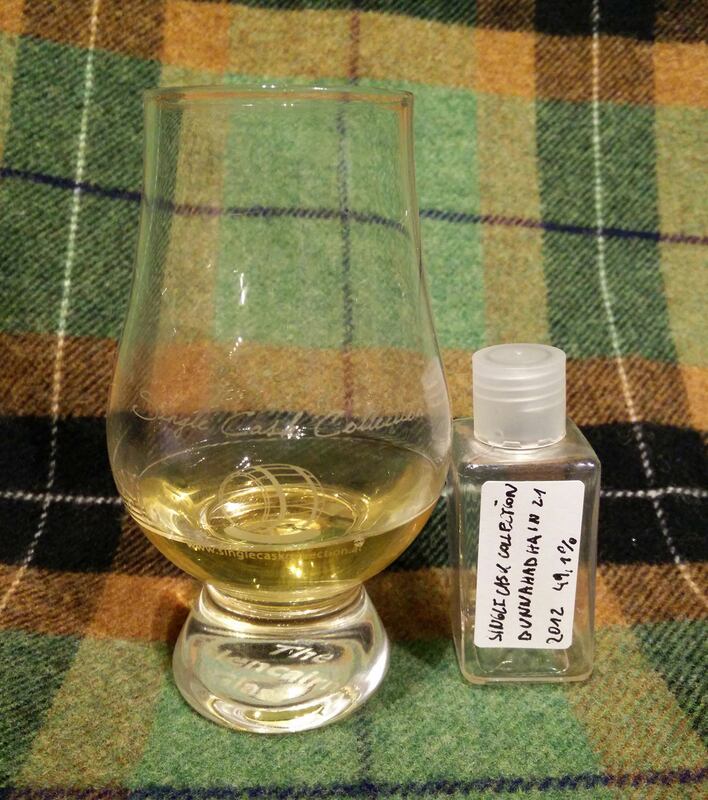 A nicely balanced sweet-spicy, oily Bunnahabhain single cask release which has matured rather well without exhibiting overwhelming aromas. Easily drinkable and very pleasing at a very fair price of 69€ when it was released. Thanks to Manfred for the sample swap! nice review.i rated it even higher. but there were only 290 bottles of this dram.